Whither Work? : Why Study Labor Relations? It’s always interesting getting a new book, but it’s particularly exciting and rewarding when it’s the product of your own work! 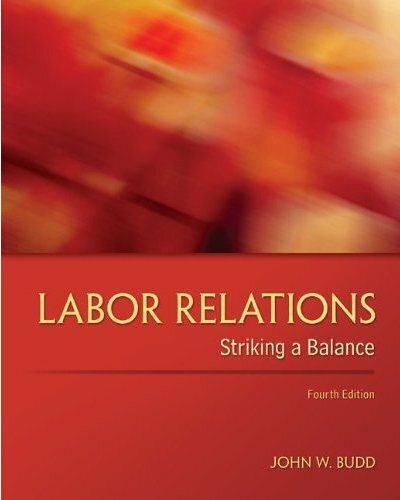 So I was thrilled when earlier this month I received a copy of the fifth edition of my textbook, Labor Relations: Striking a Balance, that is published by McGraw-Hill. But some might be thinking…labor relations?...people still study that? Some dismiss labor unions as relics from a bygone era and therefore consider studying labor relations unimportant for business careers in the 21st century. Yes, unions represent a small percentage of the U.S. workforce, but this is still a large number of workers (> 16 million) in many of the country’s leading companies and in a broad range of occupations, including doctors, nurses, lawyers, writers, professional athletes, and even graduate students. Some local businesses—a Starbucks, a Target or Walmart, or a local hotel, for example—might have some employees who are thinking about unionizing, or at least some managers who are worrying about this possibility. Labor relations are therefore a relevant and dynamic area of study and practice. All managers and business professionals can benefit from learning about labor relations, whether or not they plan to work in companies where unions are present. Studying labor relations reveals the consequences of poorly managing a workforce. Also, U.S. labor law is very relevant for all workplaces, including nonunion ones. This is because a union does not have to be a large, formal, bureaucratic organization; a union is simply a group of workers acting together to influence their working conditions. So as just one example, it’s illegal to prohibit workers from discussing their wages and benefits with other employers, because this is a basic form of worker self-protection. 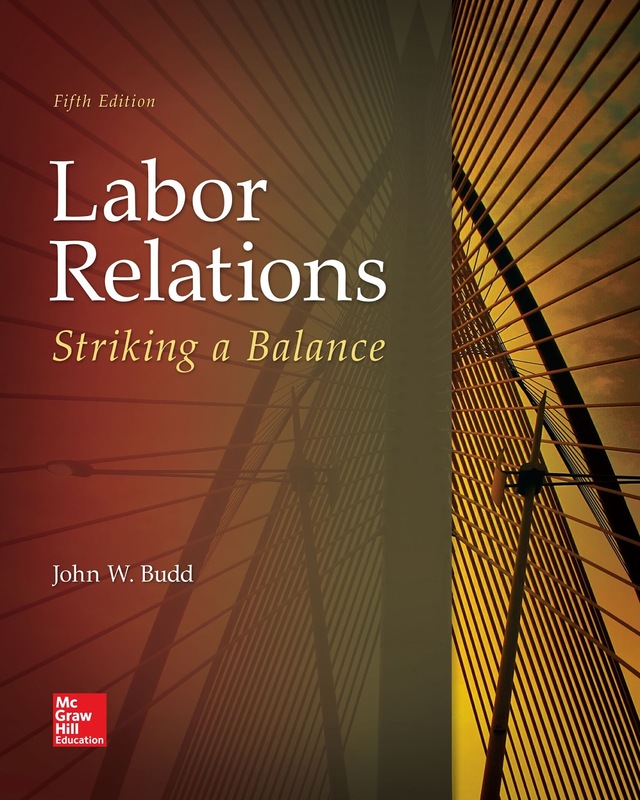 Studying labor relations can also help one appreciate the broader historical, social, and political influences on business and thereby help people better deal with the realities of managing a business in a complex world. Organizations are embedded in a complex environment, and at various points in my textbook, market forces, individual emotions, managerial strategies, forms of work organization, constitutional and legal issues, history, questions of human rights, negotiation and conflict resolution strategies, debates over globalization, pressures of financialization, ethical challenges, and other things are all shown to affect work and employee relations. 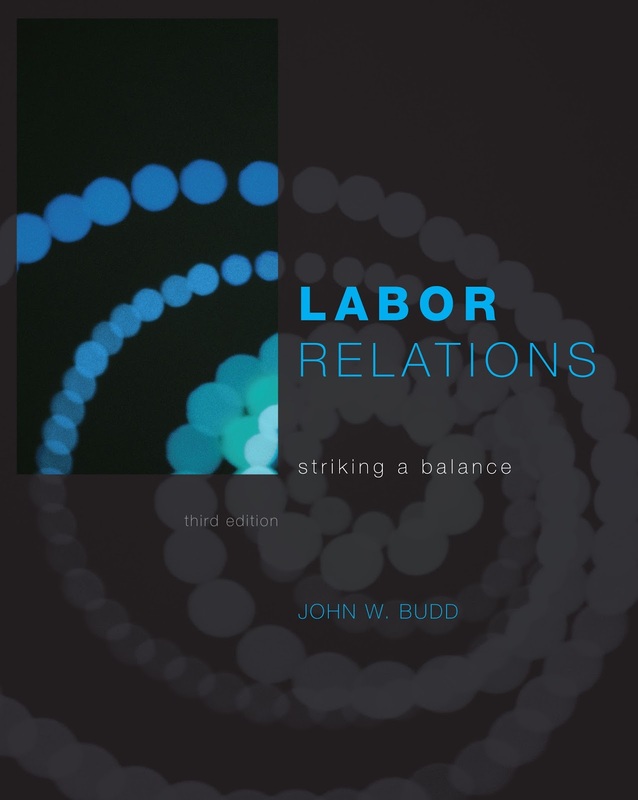 For others who are interested in work and workers, labor relations offer an engaging subject for thinking about the world of work—what we want to gain from work, defining societal objectives for the employment relationship (striving for employment with a human face through balancing efficiency, equity, and voice--of course! ), how to measure worker well-being, how work should be structured, the rights of labor, how to define and create public value(s), and other questions that greatly affect the type of society we live in. On an intellectual level, stylized economic models conveniently assume a tidy world of rational agents interacting in perfectly competitive economic markets; most business courses consider only the objectives of businesses and consumers. 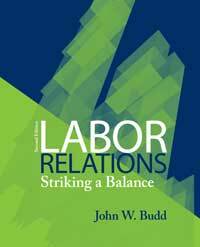 In contrast, the study of labor relations considers the goals of workers and society, and it does not shy away from the conflicts that can arise between competing groups, especially in a real world characterized by imperfect competition. Labor relations can therefore help everyone understand and resolve conflict—in the workplace, in business relationships, and in everyday personal interactions. Moreover, an emphasis in my approach to labor relations is on understanding alternative intellectual perspectives rooted in different assumptions about the nature of the employment relationship. This is typically the only place in a human resource management curriculum that students consider alternative models of the employment relationship, such as unitarism and pluralism. In this way, studying labor relations remains essential for understanding HRM. Lastly, studying labor relations should be intellectually stimulating and even fun. 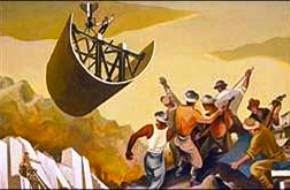 Labor relations have been influenced by everything from violent strikes to religious writings, from libertarians to Marxists, from radical union leaders to great industrialists. Studying labor relations draws on scholarship in industrial relations, management, economics, history, psychology, sociology, political science, law, working class and women’s studies, and philosophy. In my textbook, students encounter two characters named Big Bill, the brazen yet grandmotherly Mother Jones, and the still-missing Jimmy Hoffa—not to mention the colorful language of labor relations, which includes yellow dog contracts, the blue flu, hot cargo, whipsawing, and a narcotic effect. You can even read my book while listening to union folk songs or other songs about the working class. And then take a break by watching movies such as Norma Rae, On the Waterfront, Matewan, Billy Elliot, and Pride. Who says labor relations has nothing left to offer? Far from it. The right to organize is a human right. This is provided in all constitutions other than the Universal Declaration of Human Rights. Workers need protection to shield them from the very powerful employer's prerogative. There are models that could prove higher company productivity because simply labor and management cooperate. Having a union is not always exposing employers to a very radical situation. Yes unions do ask higher than what the law provides but the can always compromise with employers to save jobs and maintain a harmonious relationship in a workplace. If employers are not guilty of short paying workers' benefits then why fear becoming unionized. Employees will love you and appreciate more for this.